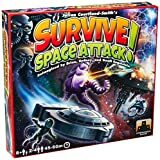 Alternate Names: Atlantis, The Island, Ostrov, Si salvi chi può!, Survive! 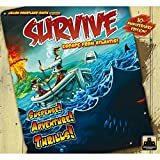 Survive: Escape from Atlantis is a board game where you evacuate your people from the slowly sinking island of Atlantis to one of the 4 islands nearby. On their journey, they have to avoid sea serpents, whales and sharks on their way to the coral islands. The center of the board is respresenting Atlantis and is made by around 40 tiles. There are four rings, with a volcano peak at the centre, then a ring of mountains, then a ring of forest and finally a ring of sandy beach at the outer edge. In the 4 corners, we find four islands. The object of the game is to bring your people to these safe islands. The evacuation can go more quickly by boat or more slowly by swimming. 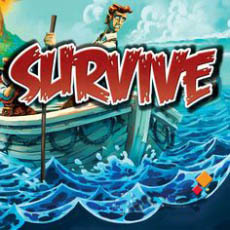 At the start, each player receive 10 people and sets them on island. On the bottom of the meeples, there are points ranging from 1 to 6. Every title (except a sandy beach that has a limit of one) can hold maximum 3 Atlanteans. and the players are free to choose their positions. Also the boats will be placed on adjacent sea tiles. 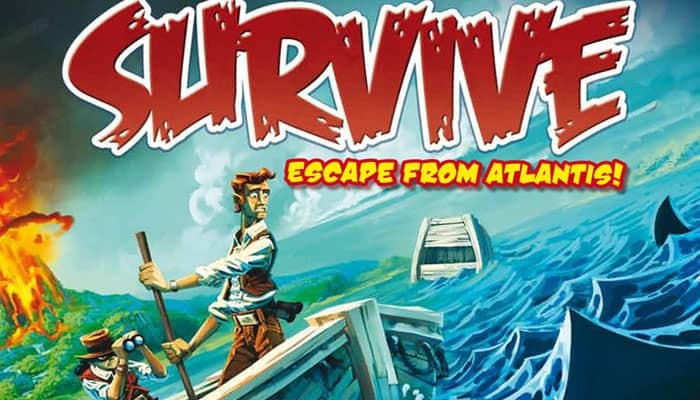 The game ends when the volcano tile is flipped over, or when all Atlanteans are safe or dead. Now the saved Atlanteans are checked and the scores are calculated. The player with most points is the winner. To win survive is little luck based and more about strategy and your memory. 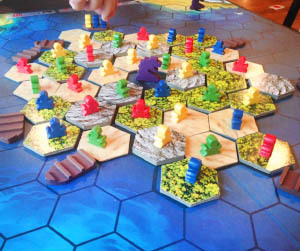 You need to remember where your highest-valued meeples are located on the island and try to get them safe first. You have a lot of options in this game. To decide when, how and who to evacuate is the key in this game. But also risk and reward come into play. The game can be played by 2 till 4 players and the average game takes about 45 minutes. You may decide to play with dolphins that help the swimmers. Or get the different mini-expansions and throw a giant squid into the foray. 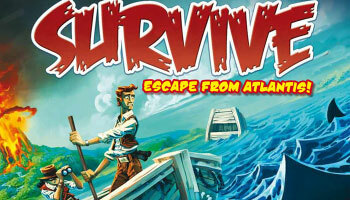 The game was first published by Parker Brothers in 1982 under the title: Survive. 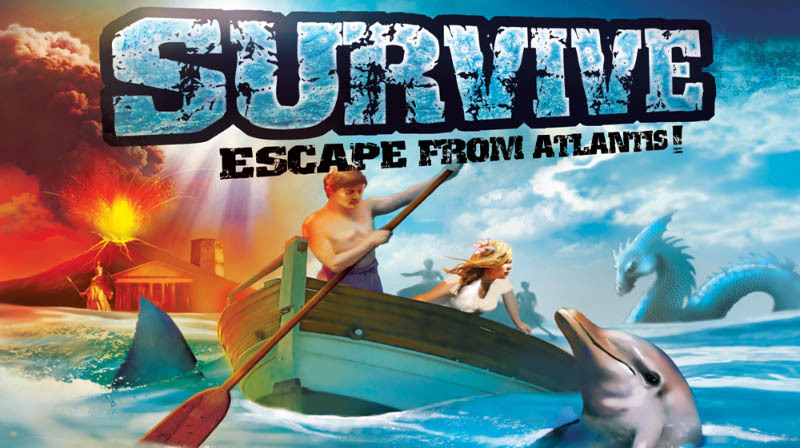 In 2011, Stronghold Games reprinted the game as "Survive: Escape from Atlantis" and added a few extra pieces. The following Challenge Rules are optional and may be used to add variety and complexity to the game.